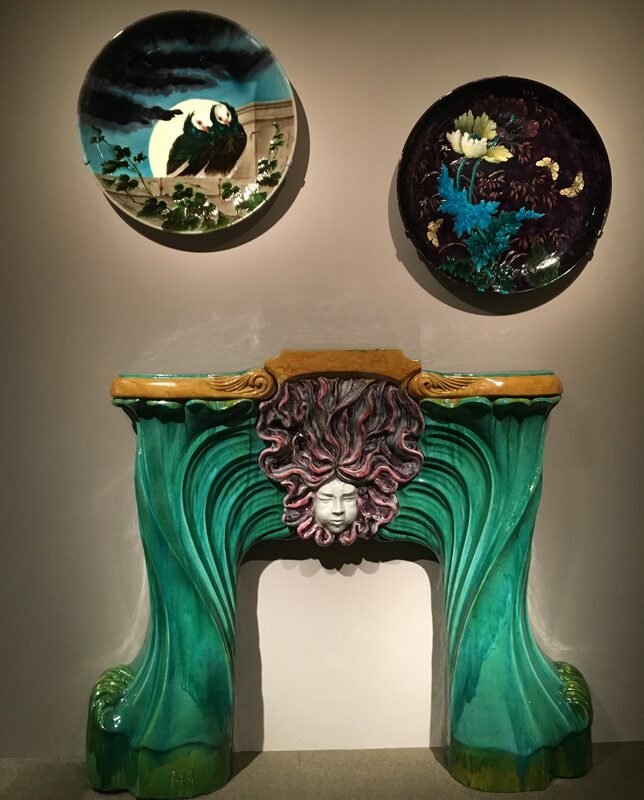 Attributed to Jean-Désiré Muller (French, 1877–1952), this fireplace is made of stoneware, a dense ceramic body that is highly durable. Its strong, sculptural design reflects the popularity of the Art Nouveau style in the years around 1900, when the fireplace was produced. The twisting forms of the vertical sides and the complex, curving shapes of the hair above the mask are characteristic of Art Nouveau design, which emphasized stylized, sinuous lines and commonly employed motifs from the natural world. 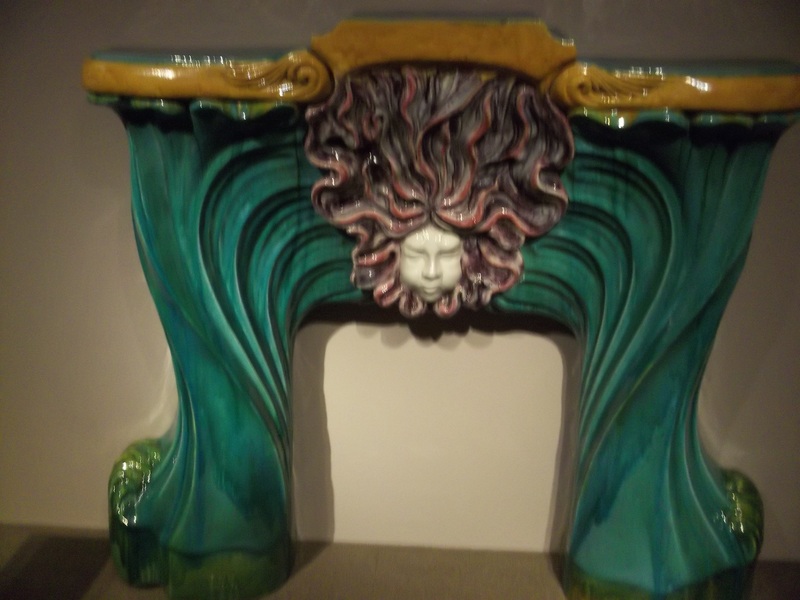 The fireplace is signed Muller/Luneville, suggesting that it was produced by one of the Muller Brothers in the city of Lunéville, France, who are known for their production of art glass. It is believed that Désiré Muller also worked in ceramics. Photographed at the Metropolitan Museum of Art, NYC. That’s classic Art NOUVEAU, not Deco.